Butterflies for babies | Hey Bernice! Let me start by clarifying that I am not obsessed with butterflies… but they are such wonderful subjects for 3D artwork. I made this recently for a friends little girl Maddison who was born several months ago. 1 box frame (where the glass doesn’t sit against the artwork inside, leaving room for the butterfly wings to sit open, away from the paper. Take your white paper. Not photocopy paper, preferably something a little thicker (I used a piece of paper from my art sketch book). Card board is too thick, as it will be harder to cut with the knife. 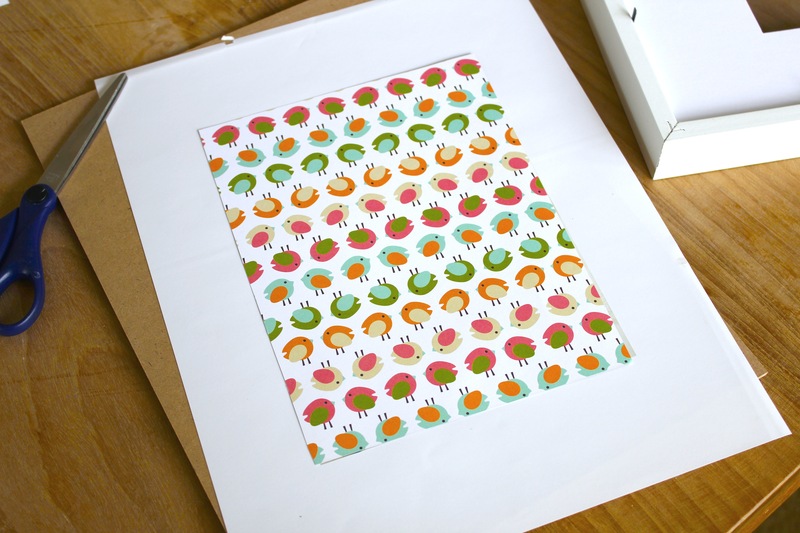 The size of your paper will depend on the size of box frame you have chosen. You want the paper larger than the display area within the frame. 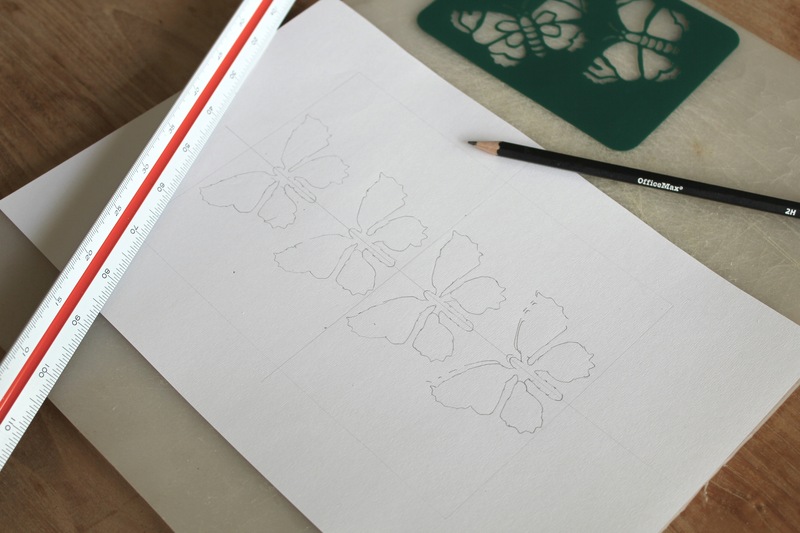 Take your butterfly stencil and trace the butterflies onto the space that will be displayed within the frame (remember there is usually a cardboard insert that sits within the frame, so your butterflies need to sit within that area). 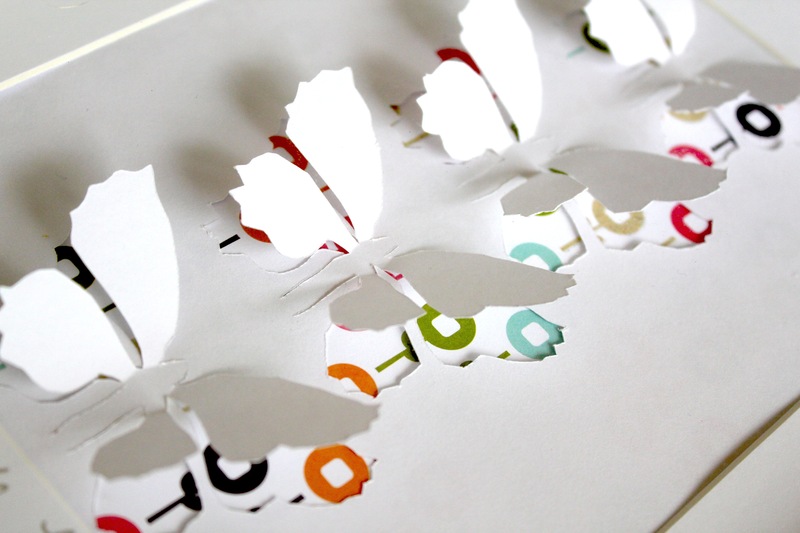 You can place the butterflies wherever you like – just make sure there is enough space between each one to allow the paper to hold its shape once you cut around the butterflies (aim for at least 1cm between each butterfly). 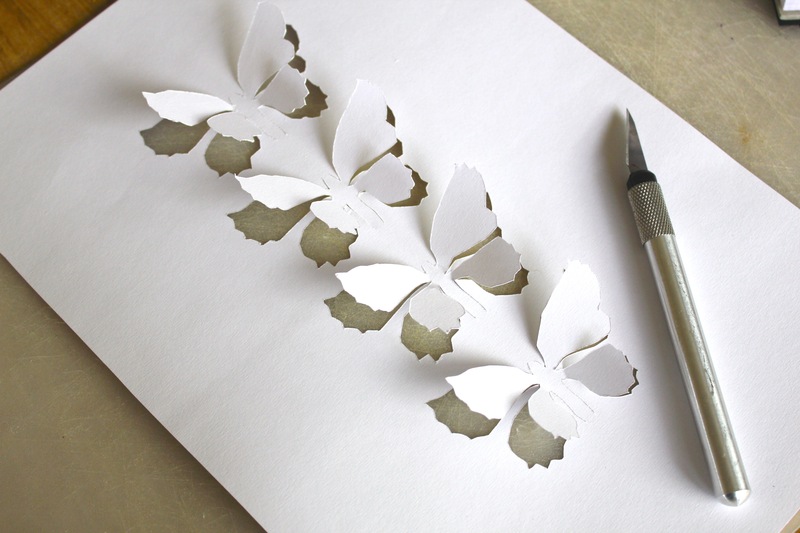 Take your cutting/Stanley knife and commence cutting around the outline of the butterflies. Make sure you don’t cut around each butterfly completely, you need to keep each one attached in several places. I found leaving the ‘body’ of the butterfly attached was the most effective, whilst cutting around the wings. I also found it easier to press the knife into the paper to make a cut, rather than dragging the knife along the paper. Dragging can often tear/gather the paper, and make the cut a little messy. Once you have cut around all the butterflies, push out each of the wings from behind (the back is the side with the pencil makes on it from tracing your stencil!). Take apart the box frame from the back. 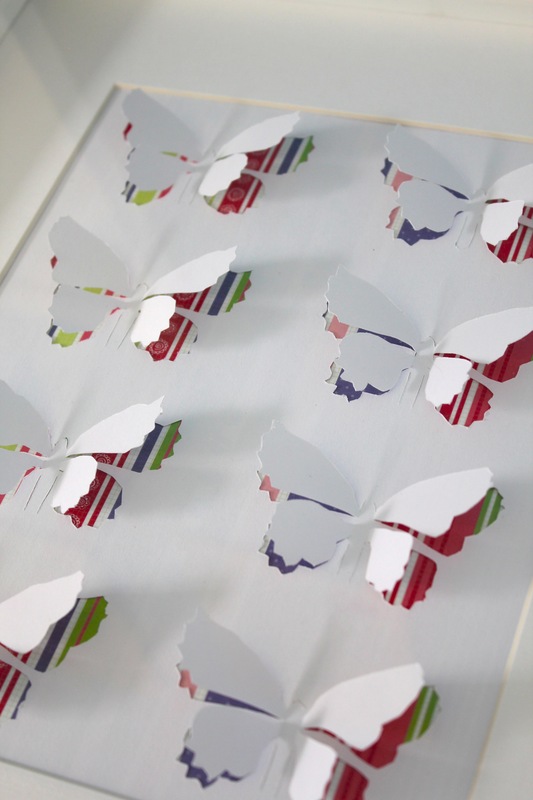 Most frames will come with a cardboard inner frame, that will border your artwork. You will need to attach your butterfly creation to the back of this cardboard with tape to make sure that it sits in the correct position (take a look from the front when everything is in place). Once everything is attached securely, place back in the frame (check that the positioning is the right way up in the frame for hanging/standing up), then secure the back piece of the frame. Butterflies are not he only animals you can use for this type of artwork, but based on their shape (with wings) it makes them perfect. You could also use birds, dragons with wings, bats etc. I hope you enjoy doing this as much as I did. Good luck with your first attempt. Pingback: Decision time – butterflies or birds for my burlap canvases? « Hey Bernice!